Modern weight vest for optimum power and power speed training. The vest has 20 pockets which are each filled with 500g weights. 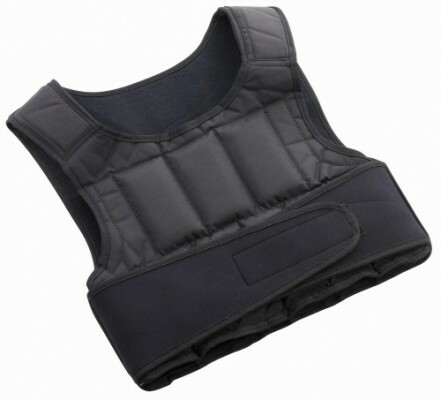 You get a modern weight vest for optimum power and power speed training. The vest has 20 pockets which are each filled with 500g weights. The weights are included and can be used depending on the needs and level of performance. So you can remove the weights from the vest, as required, or insert again. Thus, a total weight of 10kg can be achieved. The vest is ideal for running training with weights. It can be used in several sports. The matching exercises can be found in our training card system.